LunchBoxr's Self-Heating Lunch Box is a stylish, convenient and healthy way to enjoy your meals on the go. No more fast food lunches and microwaving your meals. 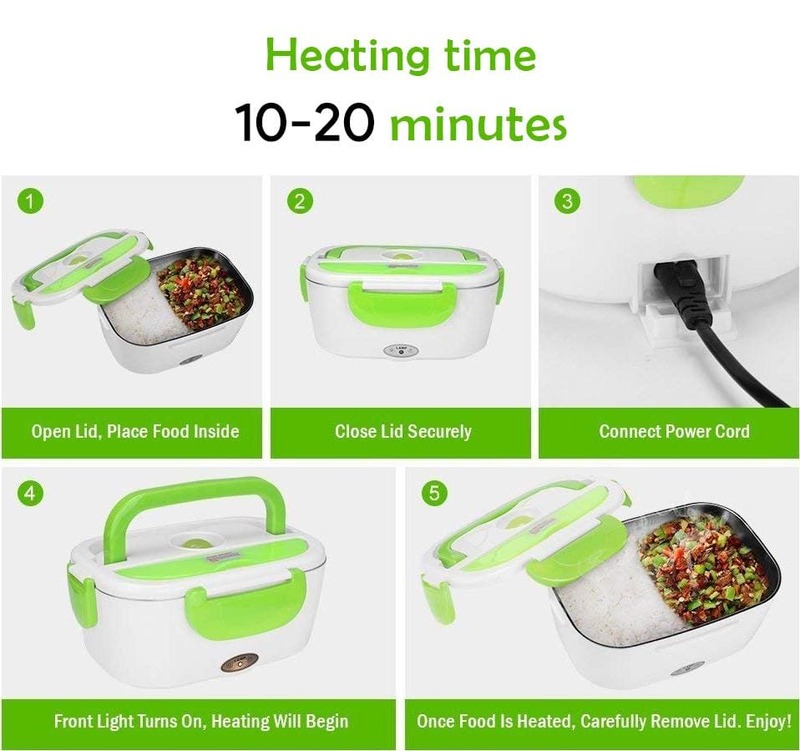 Plug in an outlet and warm up your food right at your desk and enjoy. This lunch box was made of food grade qualified material, no toxic chemicals, lead-free, PVC free, BPA free. 100% safe for your health! SHIPPING: This product ships with USPS tracking and arrives within 10-15 business days. We always offer the best price on our products & we also offer no cost shipping for our customers. Not satisfied with your purchase? No problem. Shoot us an email, and we’ll either refund you or send you a replacement. Shop knowing your information is always private and fully protected.